Add a stylish and trendy element to any 8" or 12" deep flat shelf. 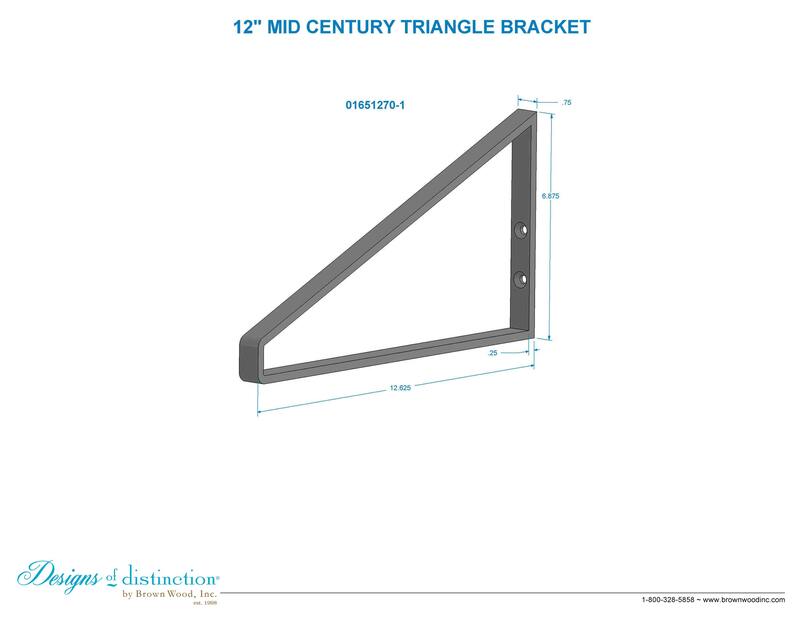 Finish your open shelving designs with one of our 12″ Mid Century Triangle Brackets, available in 4 powder coated finishes and stainless steel. Designed to fit 8″ and 12″ shelves, each finish includes matching hardware to finalize your Modern Farmhouse or Mid Century Style. Achieve a rustic chic look by pairing the 12" Mid-Century Triangle Bracket with our Hand Scraped Corner Flat Shelf. Shop more of this look in our Mid Century Collection.